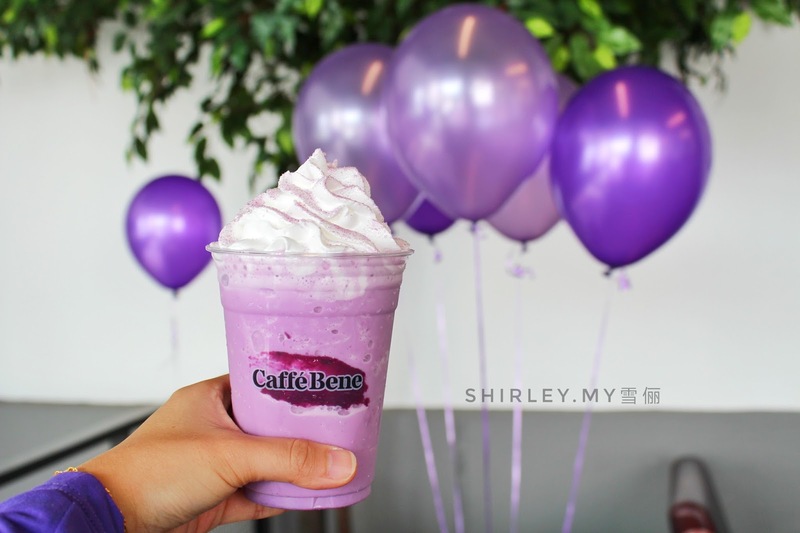 Are you excited to go with purple with Caffe Bene? Good news to you that Caffe Bene is bringing out 2018 Pantone color - ultra violet in their latest seasonal menu! 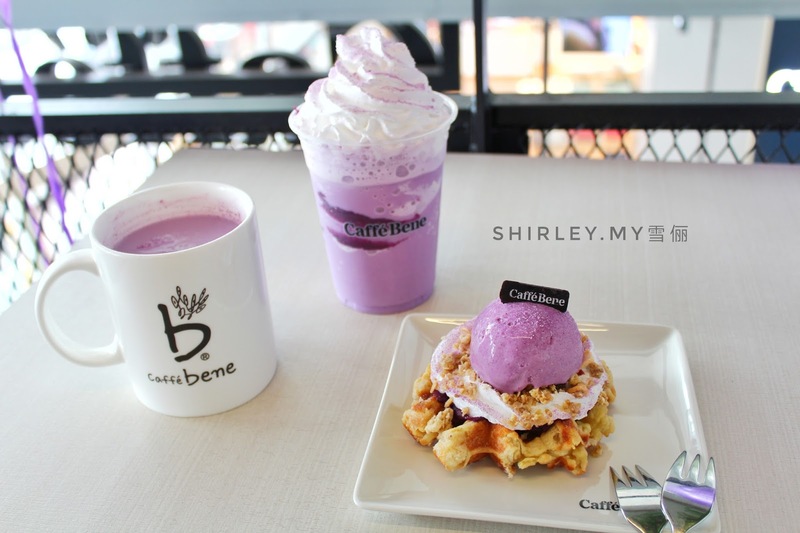 Let's go purple at Caffe Bene with their purple series of menu! 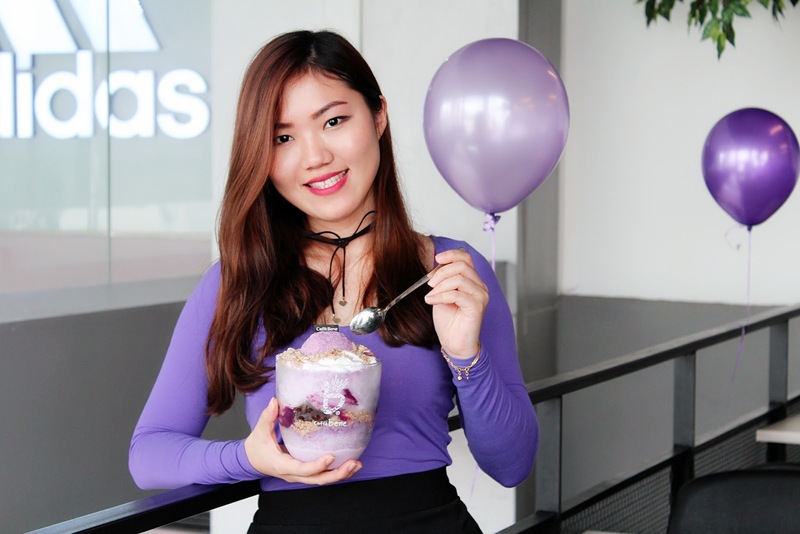 This purple series bingsu is made with layers of shaved ice, purple sweet potato milk base, crunchy granola, bouncy agar jelly and topped with their seasonal ultra violet sweet potato gelato. It is just nice to be shared together with 3 or 4 buddies. 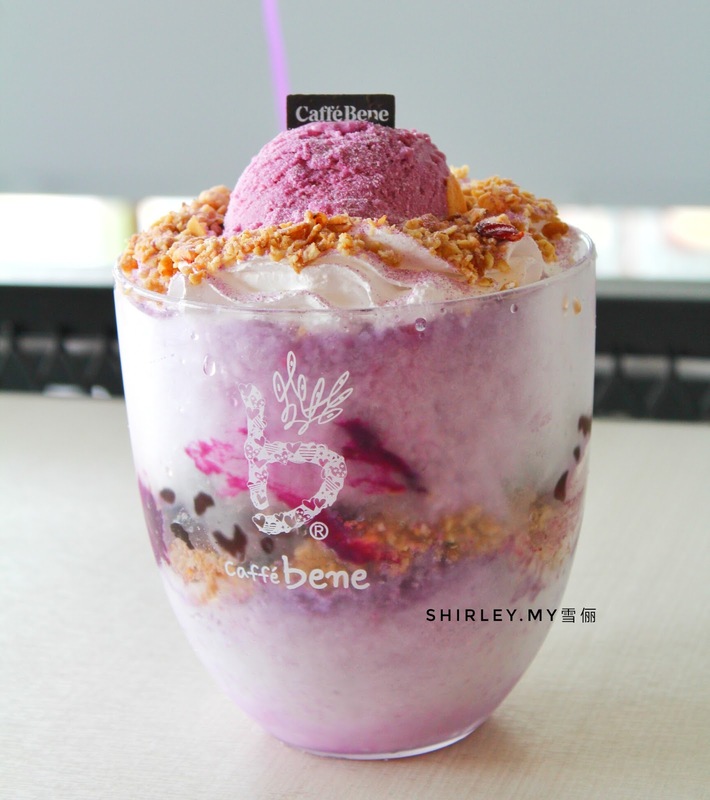 If you are looking for a drink at Caffe Bene, order a cup of ice blended purple sweet potato frappno to chill out. It is topped with whipped cream and sprinkle of purple sweet potato powder for that finishing touch. 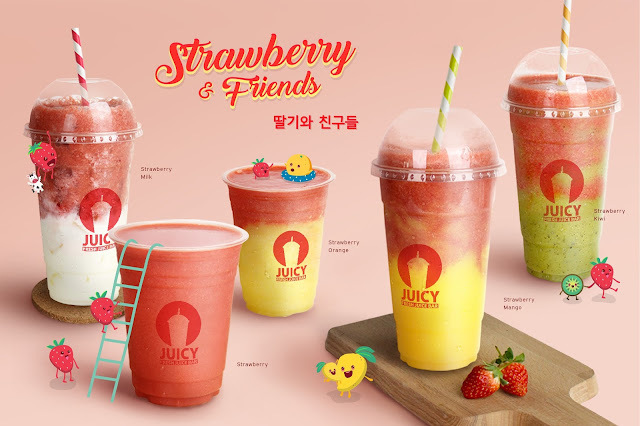 Want to order something to bite? You will definitely love the Ultra Violet Sweet Potato Cream Waffle.The waffle is topped with crunchy granola, seasonal purple sweet potato gelato and finishing it up with some purple sweet potato powder. I love this so much because the combination taste of waffle with the sweet potato paste is really good. 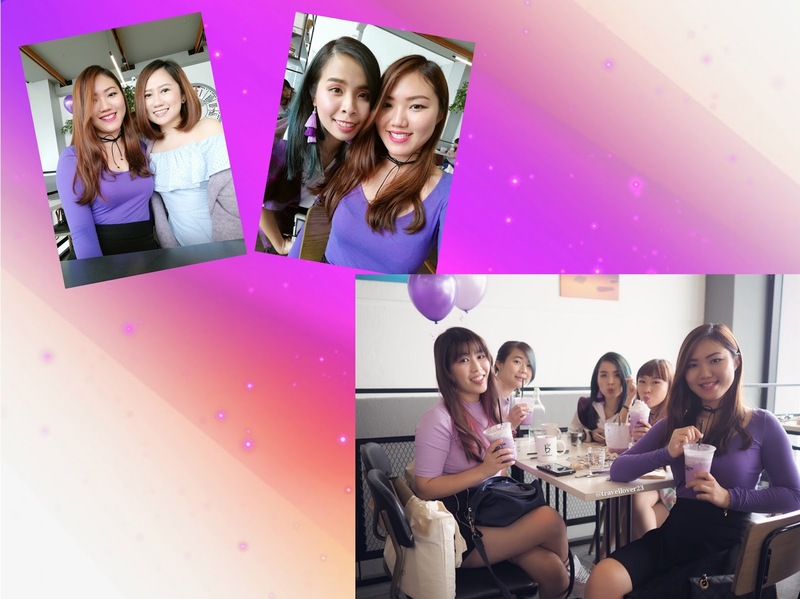 If you are looking for something simple to chill, ultra violet sweet potato latte is definitely a good choice for you. It is smooth, thick and creamy with purple sweet potato. It can be served in either hot or cold. 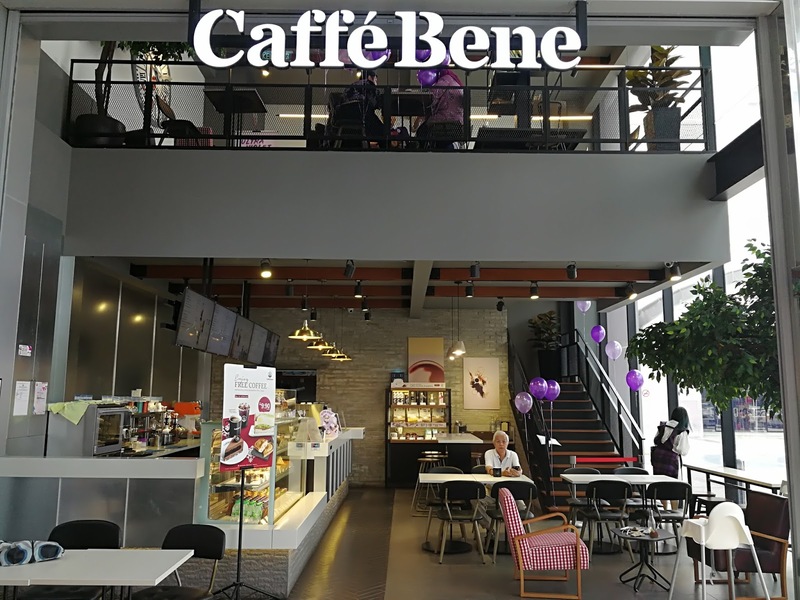 Caffe Bene One Utama provides a comfortable yet relaxing space for customer to chill with friends or even visit alone is just nice. There are two floors where you can order your food and drinks at the ground floor and you can choose the seat either at ground floor or the first floor. Address: 1 Utama Shopping Centre, 1, Lebuh Bandar Utama, Bandar Utama, 47800 Petaling Jaya, Selangor. What are you waiting for? Five JUICY Strawberry juices waiting for you.